Reliable, professional carpet cleaning in Honolulu, Hawaii since 2011. We prove both residential and professional services. Contact us now for a free quote! No surprise charges, no up-selling and no hidden fees. Get a free quote and book now! 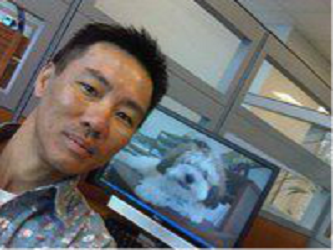 Established in 2011, Ken Wong is passionate about his Oahu carpet cleaning business. As an owner operator, Ken has extensive training and committed to providing an exceptional quality cleaning. Magic Carpet Steam Cleaning specializes in carpet cleaning and upholstery cleaning. Attention to detail and a constant strive for perfection is what sets us apart. We offer a no-obligation carpet cleaning Hawaii onsite inspection, so that we can provide accurate estimates with no surprise charges or hidden fees. We are so confident that we will bring our equipment and clean one area in your home absolutely free. Request a in home demo cleaning service at the same time so that you get exactly what you expect, nothing more, nothing less! "Excellent service! My filthy carpet is now nice and clean, ready for guests. He also gave me a solution to use in case I get spills and he also gave me a nice discount on top of it all! Truck mount is the best! Will definitely be using them again and again and again. - I.R.